For several years, ArcGIS users have helped to enhance the quality of Esri maps by sharing their data with Esri through our Community Maps program. Through Community Maps, we have enhanced the Esri basemaps, imagery, elevation, and geocoding services by including authoritative data from thousands of organizations in our user community. The first and still most active area of participation has been with the basemaps (e.g. Topographic, Streets, Canvas, and more). Over the years, thousands of communities in the map have been enhanced with detailed data made available by our users. These communities include countries, states and provinces, tribal nations, counties, cities, and even school campuses. 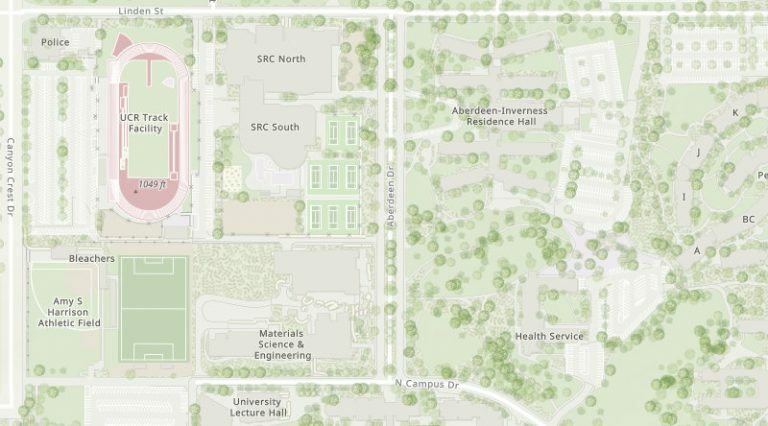 In fact, many of the most useful and attractive communities in the basemaps today are places where users have contributed very detailed data, such as the many universities that have shared detailed data for their campus. In the example above, our users have shared geographic data that they created or edited using ArcGIS Desktop or other GIS software. The users have then delivered the data to Esri in file format (e.g. FGDB) or, more recently, feature services for it to be transformed and loaded into our own global database and then cached into our basemap tiles. This process works great to leverage existing datasets with large numbers of features. However, it is not ideal if the data does not yet exist or users just want to make a small number of enhancements to the map. That’s where the new Community Maps Editor app comes in …. With the new Community Maps Editor app, which is now in public beta release, users can create and edit detailed features for special areas of interest within their community. These special areas of interest (AOIs) might be iconic parks, recreation areas, sports stadiums, school campuses, or other places that are prominent within the community. The types of detailed features that can be created include buildings, parking lots, walking paths, sports facilities, grass, trees, and points of interest. Check out the story map below to see several examples of these AOIs that have already been enhanced through the app. Click to view examples of AOIs enhanced with the Community Maps Editor app. As you can see in these examples, the Community Maps Editor app enables you to add rich, detailed features to the map to highlight what makes that place special or important to the community. The added features can be viewed through a variety of attractive map styles available for the Esri Vector Basemaps to pick the one that works best for you and your community. You can then use the map in your private or public facing web maps, story maps, or web sites that you create. The data that is created or edited through the Community Maps Editor app is intended for use in the Esri basemaps (both vector and raster tile formats). Before the data is added to the Esri basemaps, it must be reviewed and accepted by Esri staff. During the beta period, we intend to review data on a weekly basis. The data that is accepted will be integrated into Esri’s global database, and processed for inclusion in the next scheduled update of the Esri basemaps, which happen about every 3 weeks. The data will first appear in the vector basemaps, and later in the raster basemaps. In addition, Esri will be making the data that has been contributed and accepted available as ‘open’ data so that the contributor of the data, and other users, have access to the data for use beyond the basemaps. This data will be shared as a hosted feature layer in ArcGIS Online that users can access, with the ability to export all or part of the data for offline use. This data will be provided under a Create Commons by Attribution (CC by 4.0) license, with attribution to be provided collectively to ‘Esri Community Maps Contributors’. The Community Maps Editor is now in public beta release. During this time, users are invited to start using the app to enhance special areas of interest within their community. We would encourage you to identify 1-2 small AOIs that are important to your local community (e.g. local park or recreation area, high school campus, sports stadium, etc.) and then check out how it appears in the current Esri basemaps (and imagery). If you believe there are important features that are missing in the map, or the existing features could be significantly improved, then we would encourage you use the app to enhance the map. Requirements: to access to the Community Maps Editor app, you need to an ArcGIS Online subscription account. This is required to enable secure access to the app and to know which user has edited features. You do not need to install any special software. You will be able to use the app through your modern web browser (e.g. Chrome, Firefox, Safari, etc.). To get started, we’d encourage you to watch the short videos below and then visit the Community Maps Website to access the app. Once you are using the app, check out the Help and Feedback for additional tips and tricks for using the app and for providing feedback to the Community Maps team. (Tip #1: the first thing you’ll do to edit the map is to create an Area of Interest feature, which will be the ‘workspace’ in which you will make all other edits for your first project.) We’ll be updating these resources based on your feedback during the beta period. We look forward to seeing (and featuring) some of the special areas that you enhance in the map. Happy mapping! Oh, just one more tip: check out the ‘m’ hotkey when drawing a line or polygon! I don’t know what the ‘m’ stands for exactly, but it was a major time saver for me when drawing features with curves and straight lines. March Update: since the beta release, we have launched a couple map challenges to update some useful and interesting parts of the map. The first challenge was to update all of the Major League Baseball stadiums, as we head into the new baseball season. That challenge is now complete (though some finishing touches can still be added!) and edits will be published to the Esri basemaps soon. The next challenge is more international in flavor. With the Cricket World Cup set to begin in late May, the next challenge is to update a set of the World’s Best Cricket Grounds, including those hosting the upcoming World Cup in England and Wales. The challenge includes a link to a tutorial to help you get started quickly. Check out the Help in the Editor app for other tips and tricks. The map challenges are a great way to help improve the map while learning some skills that you can apply to your own community. 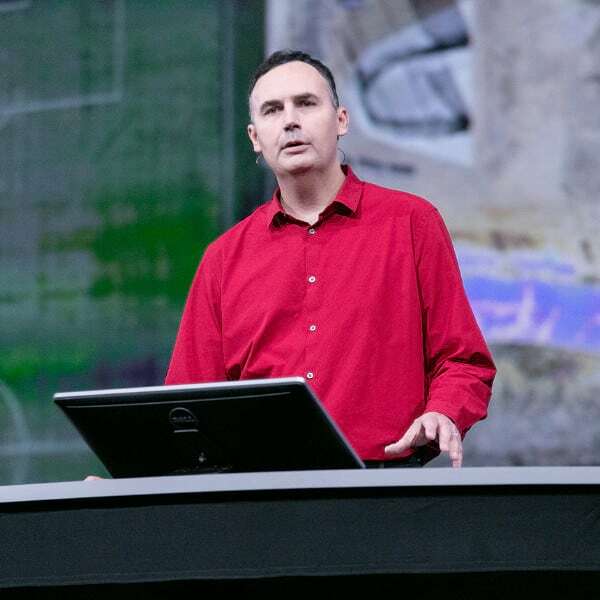 Deane Kensok has been with Esri since 1990 and is currently the ArcGIS Content CTO and a member of the Living Atlas team. For the past twenty years, Deane has worked on a variety of Internet mapping and data publishing products and projects, which have led to his current work with ArcGIS Online and the Living Atlas.